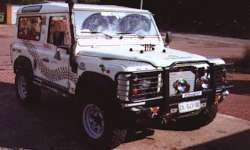 The first turbodiesel was not fitted to a production Land Rover until early 1986 (the Range Rover Turbo D) and the utilities didn't get turbo power until the end of that year (although Santana in Spain had been turbocharging the 2.25litre diesel for some years by then). The use of forced induction by means of a supercharger (which is a mechanically-driven compressor) as opposed to a turbocharger (which is driven by exhaust gases) dates back to the very beginning of motoring. Rapid development of superchargers took place during the First World War years on aeroplane engines, and development later continued on motor car engines, especially for racing cars. However, the regular use of turbochargers did not start until the 1940s, because of problems caused by the high temperatures and the very high speeds which turbos run at. 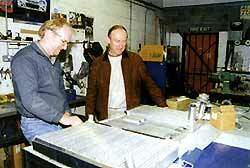 By then, new metals and alloys had been developed which solved many of these problems. Even so, the first production car fitted with a turbocharger was not announced until 1962, and interestingly this car (the Oldsmobile Jetfire) used a version of the GM 215 cubic- inch V8 which would later become the Rover V8 we all know so well. Land Rover began experimenting with turbocharged diesels shortly after that, but it would be more than 20 years before such engines went into production models. Today, the use of turbocharging on diesel engined cars has become the norm. The name of Allard is well known in the motoring and motorsport worlds and dates back many years. The company built racing cars during the Forties and Fifties, racing at Le Mans and winning the 1952 Monte Carlo rally. 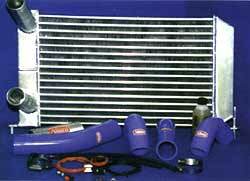 When it comes to turbocharging, supercharging and fitting intercoolers, Allard have more than 40 years of experience. The first Land Rover to be supercharged by the Allard Motor Company was a Series II diesel back in 1959, which was fitted with a Shorrock unit. Now renamed Allard Turbosport, the company concentrates on improving the performance of all diesel vehicles -especially Land Rovers. Allard achieves the improvements in performance firstly by fitting a larger and more efficient intercooler and adjusting the fuel pump. Further improvements can be achieved by fitting a specially-built up-rated turbocharger. Still further increases in power can be achieved with the addition of a water-cooled intercooler in addition to the original air-to-air type. On the latest Land Rover diesel engines with electronic engine management systems, the system can also be reprogrammed by re-chipping the ECU or by using an add-on module to re-map the system for additional power. 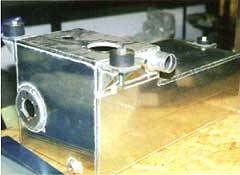 Allard's most popular upgrade is the Phase 2 Conversion. This consists of a larger air-to-air intercooler, around three times larger than the standard item fitted by Land Rover. The new intercooler is mounted in front of the radiator, directly behind the grille using existing mounting holes. The standard rubber hoses where necessary are replaced with uprated silicon hoses, and there is also the option of replacing all the intercooler and turbo hoses with this type of hose. A solenoid valve, operated via a dash-mounted switch, is added into the feed line from the turbo to the boost-sensitive diaphragm in the fuel pump, which controls the fuel delivery to the engine. This allows the driver to switch between performance and economy modes and can result in an improved fuel consumption of up to 15 percent in the economy mode. Switched to "performance", it allows the fuel to be delivered to the pump normally as the turbo boost pressure opens the pump diaphragm. Finally, to benefit from the bigger intercooler, the engine requires more fuel. This is done by adjusting either the diaphragm in the fuel pump or by adjusting the fuelling screw at the rear of the fuel pump; if necessary, Allard will use a combination of both. On the 300 Tdi engine, the power is increased by up to 22 percent taking the standard 111 bhp to 132bhp. Torque goes up from 195 to 227 lb ft. The next step is the Phase 3 Conversion. This one combines the up-rated Phase 2 intercooler with a specially-built uprated Garrett turbocharger with adjustable boost control. It produces an extra 10 - 15 percent power and torque with little increase in fuel consumption (an increase of up to 30% over the standard figures). It takes a 300 Tdi up to 143bhp with 257 lb ft of torque. For those wishing to go still further a Phase 4 Conversion is available. 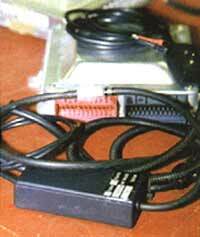 This is normally only supplied and fitted in Allard's own workshops (the Phase 2 and 3 types can be supplied for DIY fit as well). Phase 4 features an uprated turbo with a dash-mounted switch to vary the boost pressure, plus heat shielding, an improved air filter and fuel ionisers. A two-stage intercooler is employed, with a special water-cooled intercooler linked in series with the original intercooler. This Phase 4 can increase the power up to 150bhp. 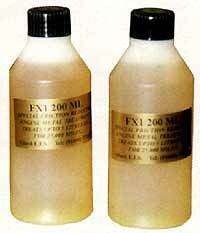 All the Phase conversions also include Allard Formula X1 engine treatment, a monomolecular hydrocarbon surface modifier. This special lubricant is added to the engine's oil and reacts with metal surfaces to create an ultra-smooth and hard-wearing surface, reducing wear and friction and extending engine life. It also reduces fuel consumption and increases power, and comes with its own guarantee. Prices for Allard Conversions start with the Phase 2 at 325 for a 2.5 Diesel Turbo, 385 for a Defender 300 Tdi and 395 for a Td5. For Phase 3 and higher performance conversions, you will need to call for a quotation. A replacement silicon hose set for a 300 Tdi Defender is 64.50. 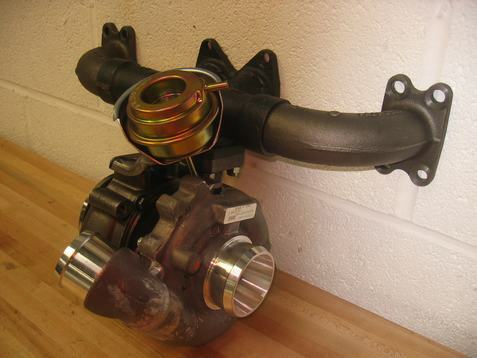 A replacement standard turbo (exchange) is 325 or a special up-rated turbo is available at 425. 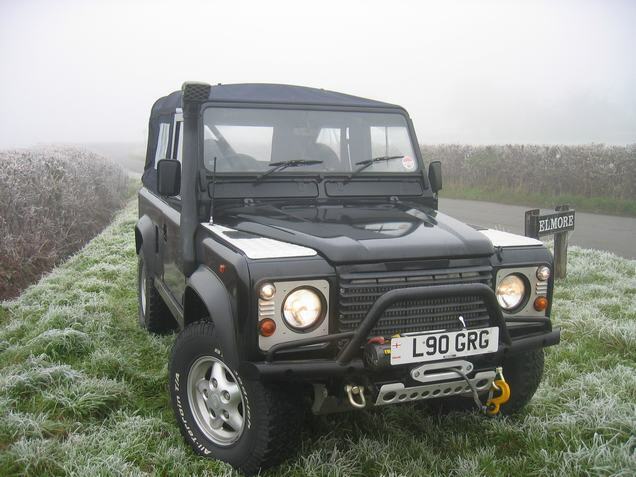 Allard also specialise in the manufacture of a full rage of aluminium products, including special build water radiators, and long range fuel tanks for most 4x4s. Especially for vehicles with LPG conversions, this allows the original fuel tank to be removed to fit an LPG tank, and an additional aluminium fuel tank to be added. Company chief Alan Allard has distilled the knowledge his company has gained from years of experience into a special information manual. Its sections cover the history of supercharging and turbocharging, tips and advice, questions and answers, tuning and adjusting boost pressure, and fault finding. You can get it by mail order from Allard for 15 plus postage and packing.